More than £270,000 in emergency funds has been approved to help people affected by flooding in the north west. Derry City and Strabane District Council said the clean-up operation would continue over the weekend. The council has received 560 requests for assistance and assessors have visited 90% of properties affected. Flood Help Centres at YMCA Drumahoe and Eglinton Community Centre remain open. 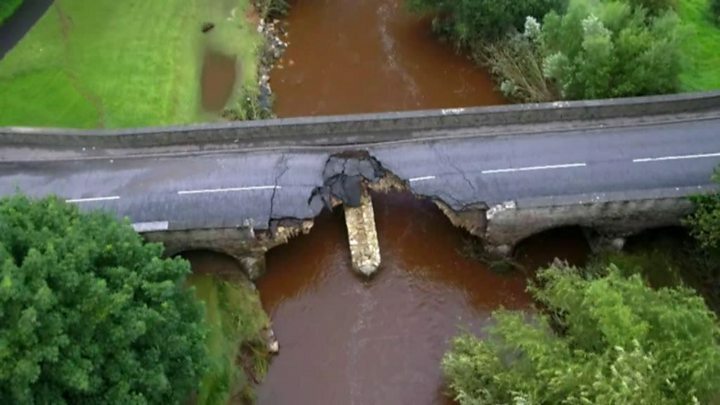 Meanwhile, Taoiseach Leo Varadkar has travelled to County Donegal, to see the devastation caused by the floods and meet residents and business owners. "You have to see it to understand the scale of the damage that has been done," he said, adding that it was remarkable that no-one was killed or injured.